NAS & Associates is Trademarks & Patent Attorneys based in Dubai – United Arab Emirates which is specializing in Trademarks Filing , Opposition at UAE Trademark Office and Counseling in the fields of Patents, Trademarks and Intellectual Property. 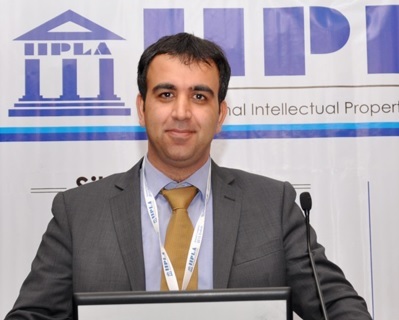 It was founded in 2009 by Nour Saleem (L.L.B) , a specialist in IP law and a Registered Trademark & Patent Agent at UAE Trademark & Patent Offices. As Professional for more than thirteen years, I have practiced with passion the Intellectual property law at established well known IP firm in the Arab World, advising and representing numerous local and International companies, from small businesses to multinationals, in many complex areas in intellectual property and unfair competition disputes. Still driven by the same passion, I have founded NAS & Associates to better serve the needs of Local and International clients that became more and more demanding not only in terms of excellence and efficiency, but also of cost management. In a globally increasing competitive environment, being able to manage intellectual property is more than ever a critical priority for each business. Without an in-depth reflection in defining and implementing adequate policies for protecting, licensing and enforcing intellectual property rights, either as patents, trademarks, trade names, domain names, copyrights, design rights, but also know-how and trade secrets, businesses cannot get the return on technical and aesthetic research and investments, promote their products and services as well as their image, and make the difference from competitors. Thanks to the expertise aquired in these fields, and the network of high quality professionals with whom I am used to collaborating, in UAE and abroad, I am happy to accompany my clients towards success in their most complex projects, and to provide, in case of legal dispute, the efficient assistance and sharp skills which will help them to maximize their chances to prevail in litigation. Eventually, my experience within international and multinational organizations , allows me, in particular, to especially understand and address the needs of both Local and International Markets. I am proud to provide to each client taylor-made services at an utmost level of excellence, with a continuous attention to reactivity, availability, and to meeting his/her expectations and beyond.